Ferdinand II, Archduke of Further Austria (Linz, 14 June 1529 – 24 January 1595, Innsbruck) was ruler of Further Austria including Tirol. 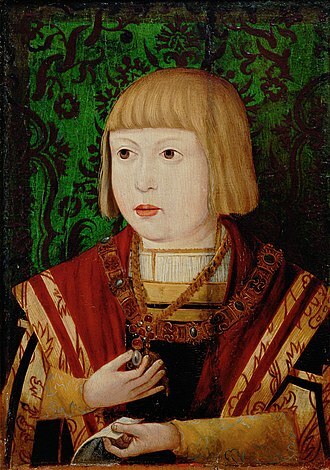 The son of Ferdinand I, Holy Roman Emperor, he was married to Philippine Welser in his first marriage. In his second marriage to Anna Juliana Gonzaga, he was the father of Anna of Tyrol, the would-be Holy Roman Empress. Archduke Ferdinand of Austria was the second son of Ferdinand I, Holy Roman Emperor and Anna of Bohemia and Hungary. He was a younger brother of Emperor Maximilian II. At the behest of his father, he was put in charge of the administration of Bohemia in 1547. 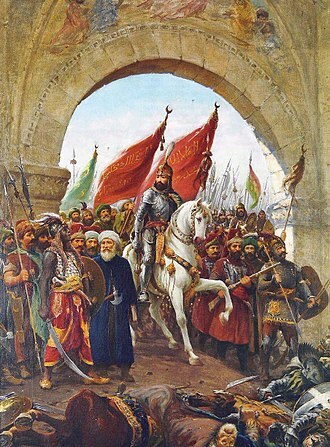 He also led the campaign against the Turks in Hungary in 1556. In 1557 he was secretly married to Philippine Welser, daughter of a patrician from Augsburg, with whom he had several children. The marriage was only accepted by Emperor Ferdinand I in 1559 under the condition of secrecy. 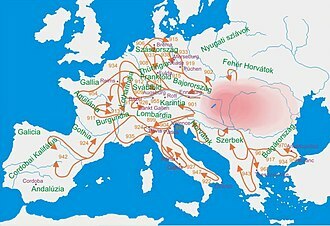 The children were to receive the name "of Austria" but would only be entitled to inherit if the House of Habsburg became totally extinct in the male line, and thus the marriage had many qualities of a morganatic marriage. 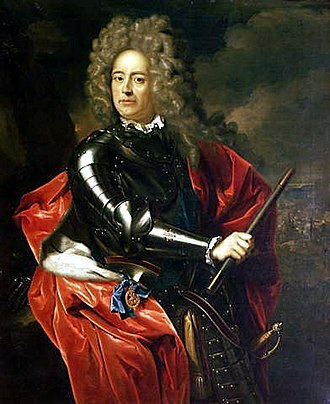 The sons born of this marriage received the title Margrave of Burgau, after the Margraviate of Burgau, an ancient Habsburg possession in Further Austria. The younger of the sons, who survived their father, later received the princely title of Fürst zu Burgau. After his father's death in 1564, Ferdinand became the ruler of Tirol and other Further Austrian possessions under his father's will. However, he remained governor of Bohemia in Prague until 1567 according to the wishes of his brother Maximilian II. In his own lands, Ferdinand made sure that the Catholic counter-reformation would prevail. 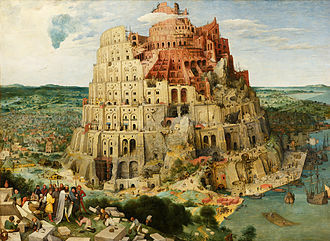 He also was instrumental in promoting the Renaissance in central Europe and was an avid collector of art. He accommodated his world-famous collections in a museum built specifically for that purpose, making Ambras Castle Innsbruck the oldest museum in the world, and as the only Renaissance Kunstkammer of its kind to have been preserved at its original location, the Chamber of Art and Curiosities at Ambras Castle Innsbruck represents an unrivalled cultural monument. 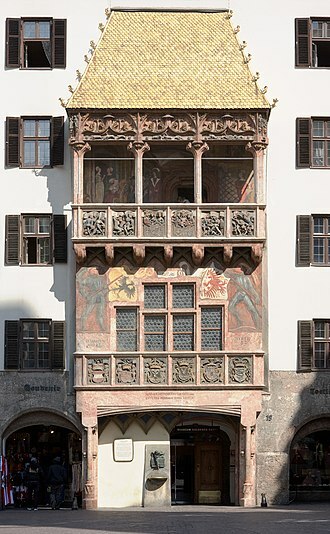 The collection was started during Ferdinand's time in Bohemia and he subsequently moved it to Tyrol. 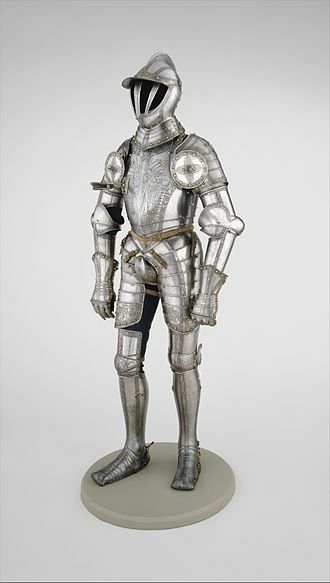 In particular, the Chamber of Art and Curiosities, the gallery of portraits, and the collection of armor were very expensive, leading Ferdinand to incurred a high level of debt. 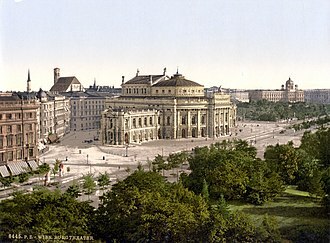 Part of collections remained in Innsbruck, and part ultimately was moved to the Kunsthistorisches Museum in Vienna. After the death of his wife Philippine in 1580, he married Anna Caterina Gonzaga, a daughter of William I, Duke of Mantua, in 1582. Archduke Ferdinand died on 24 January 1595. 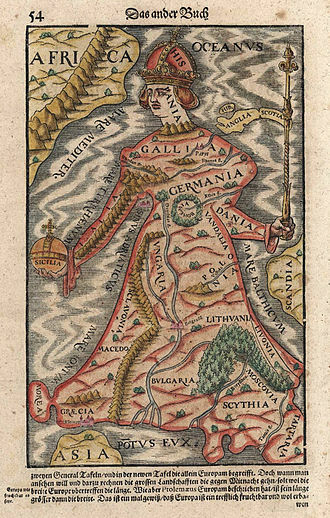 Since his sons from the first marriage were not entitled to the inheritance, and the second produced only surviving daughters, Tirol was reunified with the other Habsburg lands. His daughter from the Mantuan marriage to Anna Caterina (later Anna Juliana) became Holy Roman Empress Anna, consort of Emperor Mathias, who received his Further Austrian inheritance. Margrave Andrew of Burgau (15 June 1558 – 12 November 1600). Became a Cardinal in 1576, Margrave of Burgau in 1578, Bishop of Constance in 1589 and Bishop of Brixen in 1591. He had two illegitimate children. Charles, Margrave of Burgau (22 November 1560 – 30 October 1618), Margrave of Burgau. He married his first cousin, Sibylle (1557–1627), the youngest daughter of daughter of William, Duke of Jülich-Cleves-Berg (28 July 1516 - 5 January 1592), and Maria, Archduchess of Austria, daughter of Ferdinand I, Holy Roman Emperor. They had no legitimate children. He and his mistress Chiara Elisa di Ferrero had three illegitimate children. Philip of Austria (7 August 1562 – 9 January 1563). Maria of Austria (7 August 1562 – 25 January 1563), twin of Philip. Archduchess Anna Eleonore of Austria (26 June 1583 – 15 January 1584). Archduchess Maria of Austria (16 June 1584 – 2 March 1649), a nun. Holy Roman Empress Anna of Austria (4 October 1585 – 14 December/15 December 1618). Married her first cousin Matthias, Holy Roman Emperor. Veronika von Villanders (1551–1589). Married Giovan Francesco di Gonzaga-Novellara, Lord of Campitello. Hans Christoph von Hertenberg (c. 1592 - 2 September 1613). Married Ursula Gienger. ^ Wurzbach: Anna Katherina von Mantua, vol. 31. In: Biographisches Lexikon, Vienna 1860, p. 154. ^ a b c d Chisholm, Hugh, ed. (1911). "Joanna" . Encyclopædia Britannica. 15 (11th ed.). Cambridge University Press. ^ a b c Boureau, Alain (1995). The Lord's First Night: The Myth of the Droit de Cuissage. Translated by Cochrane, Lydia G. The University of Chicago Press. p. 96. ^ a b c Noubel, P., ed. (1877). Revue de l'Agenais [Review of the Agenais]. 4. Société académique d'Agen. p. 497. ^ a b Holland, Arthur William (1911). 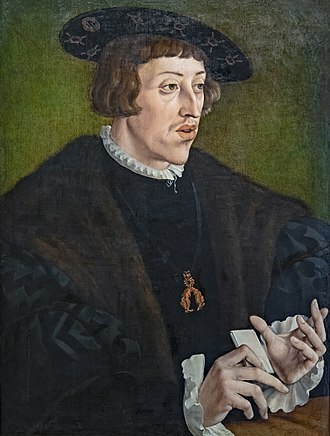 "Maximilian I. (emperor)" . In Chisholm, Hugh. Encyclopædia Britannica. 17 (11th ed.). Cambridge University Press. ^ a b Wurzbach, Constantin, von, ed. (1860). "Habsburg, Elisabeth von Oesterreich (Königin von Polen)" . Biographisches Lexikon des Kaiserthums Oesterreich [Biographical Encyclopedia of the Austrian Empire] (in German). 6. p. 167 – via Wikisource. Anna of Tyrol, was by birth Archduchess of Austria and member of the Tyrolese branch of the House of Habsburg and by marriage Holy Roman Empress, German Queen, Queen of Bohemia and Queen of Hungary. The first crowned Holy Roman Empress since the century, she was responsible from the moving of the Imperial court from Prague to Vienna. A proponent of the Counter-Reformation, she held an influence over her husband, with whom she founded the Imperial Crypt. Anna was born in Innsbruck on 4 October 1585 as the third and last daughter of Ferdinand II, Archduke of Further Austria and Count of Tyrol and she had two older sisters, Archduchesses Anna Eleonore and Maria, a nun. All them suffered from poor health since birth and her baptism was conducted with special solemnity, being organizated by her uncles Maximilian III, Archduke of Austria and Prince Ferdinand of Bavaria. 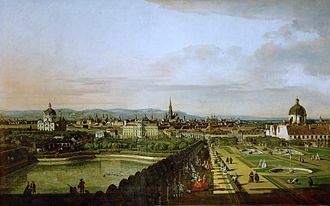 The godfather of the princess was Maximilian II, Holy Roman Emperor, for whom his son Archduke Ernest of Austria stood as proxy, Anna spend her childhood at the Innsbruck court, which thanks to her parents became in the center of Renaissance culture. She lived in Ambras Castle and Ruelyust Palaces, in order to protect the health of her daughter, since 1590 Archduchess-Countess Anna Caterina had a personal cookbook. In January 1595, the princess lost her father and her widowed mother made every effort to give her daughters a good education. Anna discovered a musical talent, which was acquired for her clavichord. The love for music remained in the princess throughout her life, being raised in a strict Catholic environment, even as Holy Roman Empress, when she believed that she had committed a sin, engaged in self-flagellation to torment the flesh. The Dowager Archduchess-Countess made frequent pilgrimages, but didnt take her daughters with her due to their poor health, Annas older sister, followed their mothers example and took the veil in the same convent under the name of Anna Catherine. 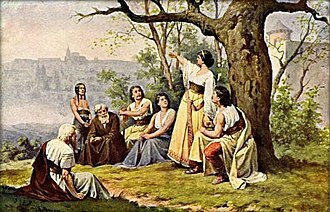 Upon reaching adulthood, Anna began to receive offers of marriage, the first proposal was made in 1603 by King Sigismund III of Poland, but Rudolf II, Holy Roman Emperor didnt gave his consent. Ambras Castle is a Renaissance castle and palace located in the hills above Innsbruck, Austria. Ambras Castle is 587 metres above sea level, the cultural and historical importance of the castle is closely connected with Archduke Ferdinand II and served as his residence from 1563 to 1595. Ferdinand was one of history’s most prominent collectors of art, the princely sovereign of Tyrol, son of Emperor Ferdinand I, ordered that the mediaeval fortress at Ambras be turned into a Renaissance castle as a gift for his wife Philippine Welser. 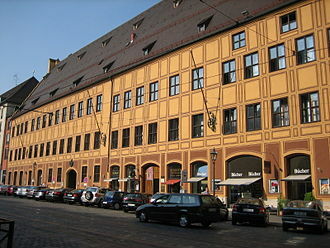 The Lower Castle contains armouries feature masterpieces of the European armourer’s art from the time of Emperor Maximilian I to Emperor Leopold I, as the only Renaissance Kunstkammer of its kind to have been preserved at its original location, the Kunst- und Wunderkammer represents an unrivalled cultural monument. 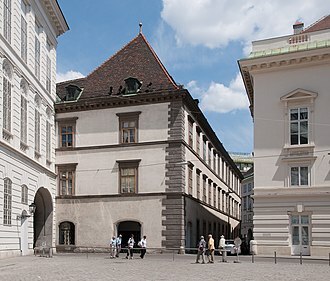 The Upper Castle contains a portrait gallery featuring paintings of numerous members of the House of Habsburg. 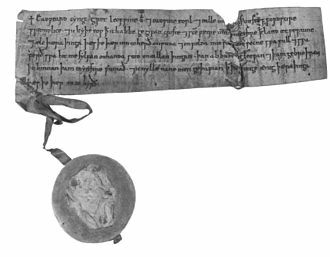 Long before Innsbruck became a city, references to an Amras or Omras appeared in documents dating from the 10th century. This original fortification was destroyed in 1133 and no traces of it remain, in 1248, the castle ruins and property passed by inheritance from the Counts of Andechs to Count Albert IV of Tyrol. The modern Ambras Castle was built by Archduke Ferdinand II, the son of Emperor Ferdinand I. In 1589, he added an additional building west of the Lower Castle for the purpose of housing his collection of weaponry, Philippine became a popular and beloved figure through her charity and willingness to help others, particularly the common people of Tyrol. Even the nobility brought their petitions to the former commoner, as signs of affection, people addressed their written petitions to Merciful Miss or serene Princess Mrs. Philippine of Austria. After Ferdinands death in 1595, the son of Ferdinand and Philippine, Margrave Charles of Burgau. With little interest in the castle, and never having used it as a residence, in the following years, Ambras Castle no longer had the status of an official residence and was seldom lived in. The Bishopric of Constance, or Prince-Bishopric of Constance, was a Prince-Bishopric and Imperial Estate of the Holy Roman Empire from the mid–12th century until its secularisation in 1802–1803. The much larger Roman Catholic Diocese of Konstanz existed from about 585 until its dissolution in 1821 and it belonged to the ecclesiastical province of Mainz since 780/782. They did not include the Imperial City of Constance nor Petershausen Abbey, in the south, the bishops territory bordered on the Landgraviate of Thurgau which was conquered by the Swiss Confederacy in 1460. While the Prince-Bishop was the ruler in his prince-bishopric, his powers in his diocese were limited to the pastoral duties exercised by any bishop. Originally subordinated to the Archdiocese of Besançon, Constance became suffragan to the Archdiocese of Mainz in 782, a deed by Emperor Frederick I Barbarossa in 1155 confirmed the princely status of the bishop and of his bishopric as an Imperial Estate. The territory of the prince-bishopric contracted during the centuries under pressure from both the Swiss Confederacy and the House of Habsburg. Charles, Margrave of Burgau, known as Charles of Austria, was the son of Archduke Ferdinand II of Austria and his first morganatic marriage to Philippine Welser. 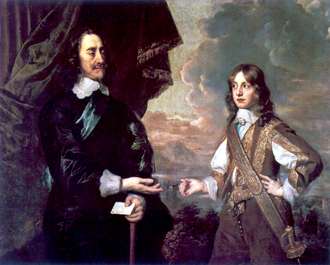 He was the brother of Andrew of Austria, Charles of Burgau pursued a military career. He unsuccessfully led a Spanish regiment in the war against the Netherlands and was deployed in the Long War against the Ottoman Empire. 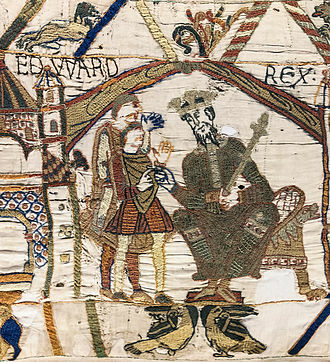 Here, he recorded some successes — at the expense of his soldiers, since Charles was born from a morganatic marriage, he was not entitled to inherit the archduchy. He was, amply compensated financially and given some territories and his most important possession was the Margraviate of Burgau. He held the Landgraviate of Nellenburg and the County of Hohenberg, contemporary sources describe his magnificent court at his residence, Günzburg Castle. Charles was not popular among his subjects, whom he forbade to drink wheat beer, in 1615 or 1616, he founded a Capuchin monastery in Günzburg. In 1617, he expelled the Jews from Günzburg, they were ordered to leave the city within a year, Charles died on 30 October 1618. Maximilian II, a member of the Austrian House of Habsburg, was Holy Roman Emperor from 1564 until his death. He was crowned King of Bohemia in Prague on 14 May 1562, on 8 September 1563 he was crowned King of Hungary and Croatia in the Hungarian capital Pressburg. On 25 July 1564 he succeeded his father Ferdinand I as ruler of the Holy Roman Empire, maximilians rule was shaped by the confessionalization process after the 1555 Peace of Augsburg. 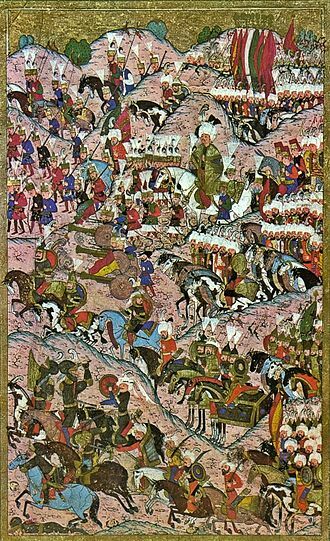 Though a Habsburg and a Catholic, he approached the Lutheran Imperial estates with a view to overcome the denominational schism and he was faced with the ongoing Ottoman–Habsburg wars and rising conflicts with his Habsburg Spain cousins. 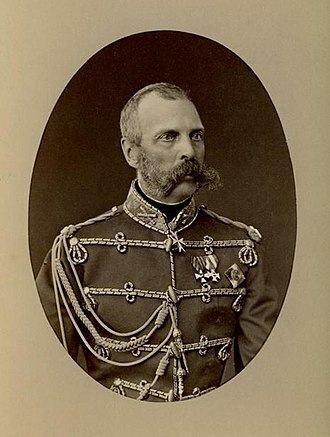 According to Fichtner, he failed to achieve his three major aims, rationalizing the government structure, unifying Christianity, and evicting the Turks from Hungary and he was named after his great-grandfather, Emperor Maximilian I. At the time of his birth, his father Ferdinand succeeded his brother-in-law King Louis II in the Kingdom of Bohemia, having spent his childhood years at his fatherss court in Innsbruck, Tyrol, he was educated principally in Italy. Among his teachers were humanist scholars like Kaspar Ursinus Velius and Georg Tannstetter, Maximilian came in contact with the Lutheran teaching and early on corresponded with the Protestant prince Augustus of Saxony, suspiciously eyed by his Habsburg relatives. From the age of 17, he gained experience of warfare during the Italian War campaign of his uncle Charles V against King Francis I of France in 1544. On 13 September 1548 Emperor Charles V married Maximilian to Charless daughter Mary of Spain in the Castile residence of Valladolid, by the marriage his uncle intended to strengthen the ties with the Spanish branch of the Habsburgs, but to consolidate his nephews Catholic faith. Maximilian temporarily acted as the representative in Spain, however not as stadtholder of the Habsburg Netherlands as he had hoped for. He returned to Germany in December 1550 in order to part in the discussion over the Imperial succession. However, Charles brother Ferdinand, who had already designated as the next occupant of the imperial throne. Augsburg is a city in Swabia, Germany. It was a Free Imperial City for over 500 years and it is a university town and home of the Regierungsbezirk Schwaben and the Bezirk Schwaben. 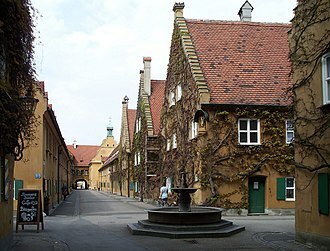 Augsburg is a district and home to the institutions of the Landkreis Augsburg. It is the third-largest city in Bavaria with a population of 286,000 citizens, after Neuss and Trier, Augsburg is Germanys third oldest city, being founded by the Romans as Augusta Vindelicorum, named after the Roman emperor Augustus. Augsburg is the only German city with its own legal holiday and this gives Augsburg more legal holidays than any other region or city in Germany. 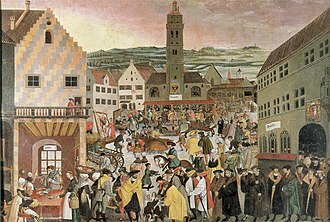 Augsburg was the home of two families that rose to great prominence internationally, replacing the Medicis as Europes leading bankers, the Fugger. Augsburg lies at the convergence of the Alpine rivers Lech and Wertach, in the south extends the Lechfeld, an Outwash plain of the post ice age between the rivers Lech and Wertach, where rare primeval landscapes were preserved. The Augsburg city forest and the Lech valley heaths today rank among the most species-rich middle European habitats, on Augsburg borders the nature park Augsburg Western Woods - a large forestland. The city itself is heavily greened, as a result, in 1997 Augsburg was the first German city to win the Europe-wide contest Entente Florale for Europes greenest and most livable city. Augsburg is surrounded by the counties Landkreis Augsburg in the west, the neighboring towns and cities are Friedberg, Königsbrunn, Neusäß, Rehling, Kissing, Merching, Gessertshausen und Diedorf. Augsburg has a continental climate. The city was founded in 15 BC by Drusus and Tiberius as Augusta Vindelicorum, the name means Augusta of the Vindelici. This garrison camp soon became the capital of the Roman province of Raetia, Augsburg was the intersection of many important European east-west and north-south connections, which evolved as major trade routes of the Middle Ages. Around 120 AD Augsburg became the capital of the Roman province Raetia, Augsburg was sacked by the Huns in the 5th century AD, by Charlemagne in the 8th century, and by Welf of Bavaria in the 11th century, but arose each time to greater prosperity. Ferdinand I was Holy Roman Emperor from 1558, king of Bohemia and Hungary from 1526, and king of Croatia from 1527 until his death. Before his accession, he ruled the Austrian hereditary lands of the Habsburgs in the name of his brother, Charles V. Also, he served as Charles representative in Germany and developed useful relationships with German princes. Ferdinand was able to defend his realm and make it more cohesive. His flexible approach to Imperial problems, mainly religious, finally brought more result than the more confrontational attitude of his brother, Ferdinands motto was Fiat iustitia, et pereat mundus, Let justice be done, though the world perish. 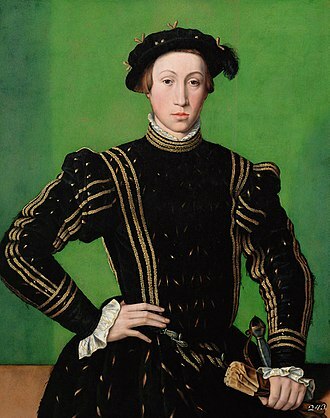 Ferdinand shared his customs and even his birthday with his maternal grandfather Ferdinand II of Aragon and he was born and educated in Spain, and did not learn German when he was young. In the summer of 1518 Ferdinand was sent to Flanders following his brother Charless arrival in Spain as newly appointed King Charles I the previous autumn. He returned in command of his brothers fleet but en route was blown off-course and he was Archduke of Austria from 1521 to 1564. 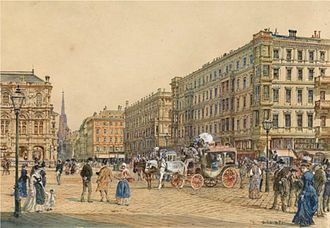 Though he supported his brother, Ferdinand managed to strengthen his own realm, by adopting the German language and culture late in his life, he grew close to the German territorial princes. After the death of his brother-in-law Louis II, Ferdinand ruled as King of Bohemia and Hungary. 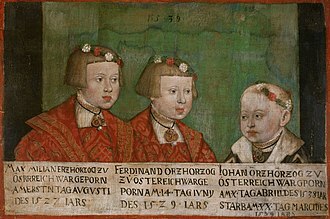 Ferdinand served as his brothers deputy in the Holy Roman Empire during his brothers many absences, according to the terms set at the First Congress of Vienna in 1515, Ferdinand married Anne Jagiellonica, daughter of King Vladislaus II of Bohemia and Hungary on 22 July 1515. 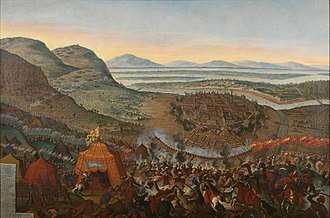 Therefore, after the death of his brother-in-law Louis II, King of Bohemia and of Hungary, at the battle of Mohács on 29 August 1526, the success was only partial, as the Diet refused to recognise Ferdinand as hereditary lord of the Kingdom. The Croatian nobles unanimously elected Ferdinand I as their king in the 1527 election in Cetin, in Hungary, Nicolaus Olahus, secretary of Louis, attached himself to the party of Ferdinand but retained his position with his sister, Queen Dowager Mary. Tiroler Wallfahrer ("Tyrolean pilgrims") by Alois Schönn, 19th century. Innsbruck, a view from Mt. Bergisel. Dowager Archduchess Anna Catherina with her daughters Anna and Maria. Anna as Holy Roman Empress.